Everything you love about Ottolenghi, made simple. Yotam Ottolenghi's award-winning recipes are always a celebration- an unforgettable combination of abundance, taste and surprise. 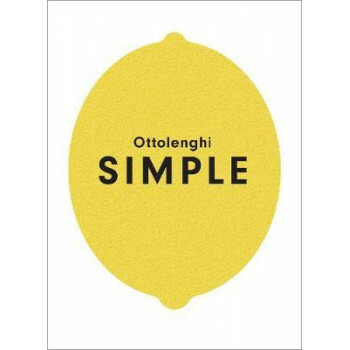 Ottolenghi SIMPLE is no different, with 130 brand-new dishes that contain all the inventive elements and flavour combinations that Ottolenghi is loved for, but with minimal hassle for maximum joy. Bursting with colourful photography, Ottolenghi SIMPLE showcases Yotam's standout dishes that will suit whatever type of cooking you find easy - whether that's getting wonderful food on the table in under 30 minutes, using just one pot to make a delicious meal, or a flavoursome dish that can be prepared ahead and then served when you're ready. These brilliant, flavour-forward dishes are all SIMPLE in at least one (but very often more than one) way- S - short on time- less than 30 minutes I - 10 ingredients or less M - make ahead P - pantry L - lazy E - easier than you think Ottolenghi SIMPLE is the stunning new cookbook we have all been wishing for- Yotam Ottolenghi's vibrant food made easy.